The colliery worked the Swansea Five-Feet seam. 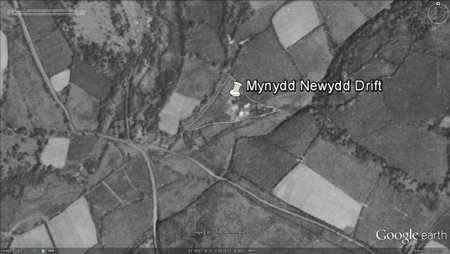 Mynydd Newydd working Drift, reproduced from: OS Map 1936-1947. 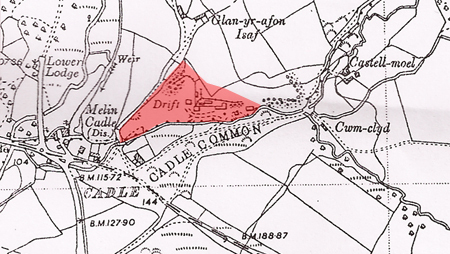 Melin (Mill) Cadle (Disused) can be seen between Swansea Road and Drift. and through the small village of Cadle. On the left: Pontardulais Road A483 leading to Swansea Road. Part of the old Swansea Road can be seen joining either side of the roundabout. 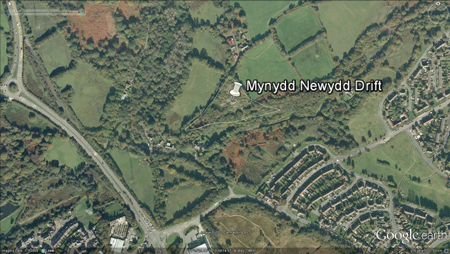 On the right Blaen-y-Maes and Portmead housing estates. Mr. W. Craven. Llewellyn in the same year. The mine operated between 6 and 9 nine months until the workings were flooded. In this year, boilers and and pumps were installed to deal with the water problem. The colliery employed 50/26 men and the manager was W. Davies. South Western Division's, No.l (Swansea) Area. The slant employed 40/31 men. Mr.W. Davies was the colliery manager. The colliery employed 110 men and produced 21,500 tons of coal. "After his Mynydd Newydd venture, Mr. W. C. Llewellyn opened a drift mine at Cadle Mill also in 1933. It operated for about six to nine months when water broke in and flooded the workings."